SKU: DyeTacticalHarness Category: Tactical Vests Brands: Dye. The Dye Tactical Assault Vest is a hardened blend of utility and sport. For the players who want a lightweight, configurable system that allows them to utilize tactical modular pouches, while still remaining as light and agile as possible. We have integrated the standard paintball harness system with the addition of the MOLLE webbing standard to a light, backpack style vest. This configuration allows you to mount an air system to your upper back, while having the heavier, load-bearing equipment around your waist. This unique style takes the excessive weight and discomfort off of your shoulders and uses the harness system to carry the bulk of the weight, freeing you up to move faster. 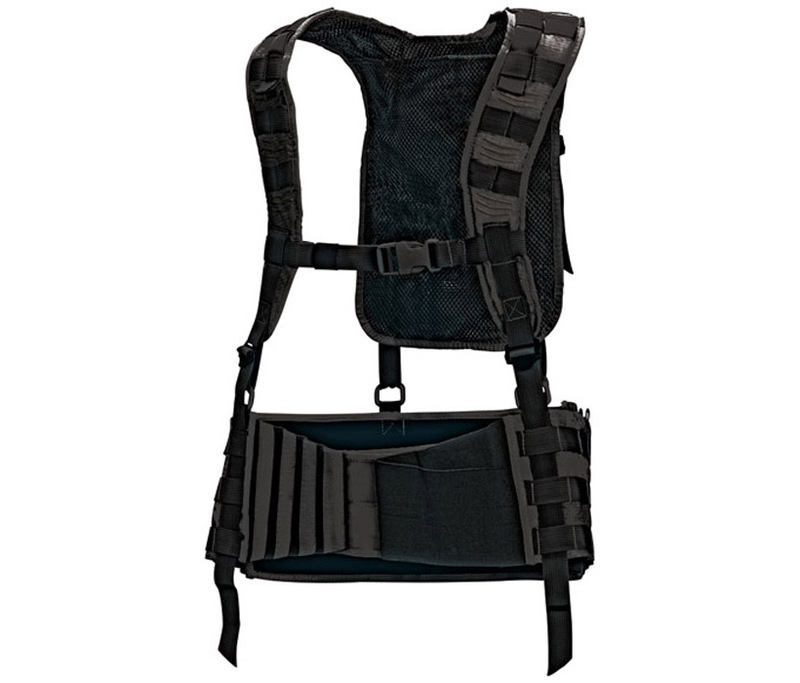 The Tactical Assault Vest is completely adjustable in almost everyway. The shoulder straps can be lengthened or shortened, made to fit tight or loose. The harness system can also be configured in a position that is most comfortable for your needs, around your hips or up higher on your waist.